Strolling Kapok Park right before sundown, looking for birds, when I happened upon this. I too would love to sleep in a tree. Yep. Not a bad gig when you can get it. Kind of sad…lost? Stolen? Trying to creepy people out, for some reason? 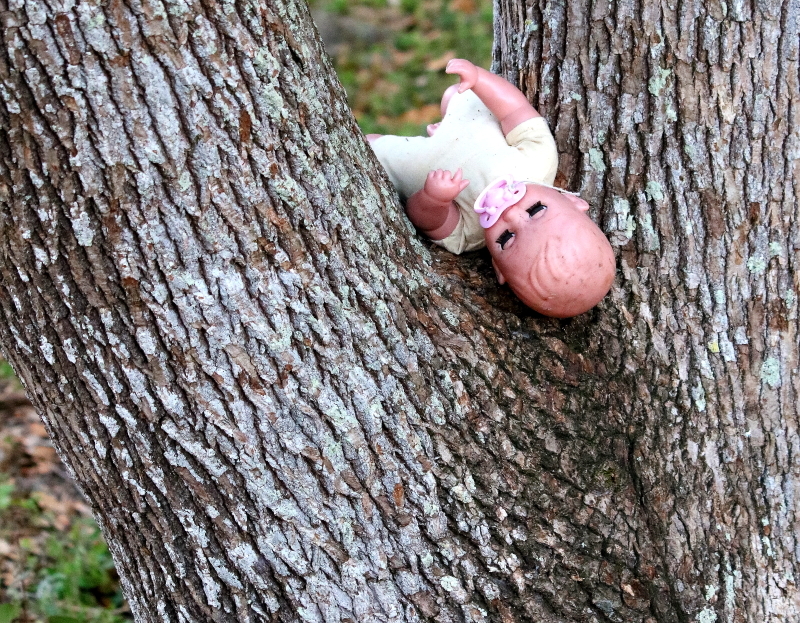 I’m not sure if she was the one to put the dolly in the tree, but I later saw a girl running around the park with the doll. But it was definitely jarring to see it there in the crotch of the tree. A wee bit creepy, for sure! Yikes! I guess I would be one of those people Ellen Datlow is talking about.